Probably the most important piece of paper in Swindon's history was the letter that Daniel Gooch wrote to Isambard Kingdom Brunel on 13 September, 1840. In it, Gooch, the newly-appointed 21-year-old locomotive superintendent of the Great Western Railway, put forward his recommendations on the siting of the company's new engine works. Brunel's decision to take Gooch's advice changed forever the destiny of what until then had been a tiny hilltop town. Here is that letter in full. According to your wish I give you my views of the best site for our principal engine establishment, and in doing so I have studied the convenience of the Great Western Railway only, but also think the same point is the only place adapted for the Cheltenham and Great Western. The point I refer to is the Junction at Swindon of the two lines. 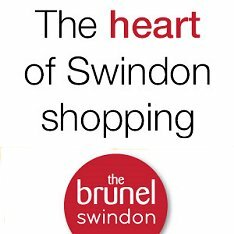 The only objection I see to Swindon is the bad supply of water. There is also an apparent inequality of distance or duty for the engines to work - but which is very much equalized when the circumstances attending it are taken into account. I find the actual distances are as 76 ½ to 41 and the gradients are for the short distance of 41 miles a rise of 318 feet or 7.75 feet per mile, and for the 76 ½ miles a rise of 292 feet or 3.8 feet per mile. Swindon being the point at which these gradients change, the different gradients necessarily require a different class of engine, requiring for the Bristol end a more powerful one than for the London end. That power can only be obtained conveniently by reducing the diameter of the Driving Wheels, therefore, supposing we work between Swindon and Bristol with 6 feet wheels, and between Swindon and London with 7 feet wheels, there will actually be very little difference between the work required of the two engines, when the additional gradients and curves, and the increased number of revolutions per mile which the small wheeled engine makes are taken into account. It would also divide the pilot engines very nearly equally, as Reading being the first Station where a pilot engine would be kept, say 36 miles, the next distance, to Swindon, would then be 41 miles, and on to Bristol another 41, and which 1 think would be sufficiently near for pilot engines to be constantly ready, and with this arrangement the watering stations would work very well. Steventon where plenty of water can be had, forming a central station between Reading and Swindon, and as our Oxford Traffic comes on there I should think it likely that all trains will stop there. A large station at Swindon would also enable us to keep our Bank engines for Wootton Bassett incline at Swindon instead of having a separate station for that purpose at the bottom of the incline, and in addition it would at any rate be necessary to have a considerable Station at Swindon to work the Cheltenham line, which would be saved if Swindon was our principal station. It also has the great advantage of being on the side of a canal communicating with the whole of England, and by which we could get coal and coke, I should think at a moderate price. I am not sufficiently acquainted with the place to know how far we would be affected by the want of water, it might probably be collected in the neighbourhood, and as we have a great deal of side cutting they might be converted into reservoirs, and should even this fail us we have the canal. These reasons lead me to think Swindon by far the best point we have for a Central Engine Station. From the plans and sections there appear little or no difficulties with the nature of the ground for building upon, and by placing the station somewhere as shown in the enclosed sketch, it might be made in every respect very complete. I have not thought of the Bristol & Exeter line in the arrangement, as it is quite possible to work it very well by engines kept at Bristol as long as they are fit for work. In the same way we could work the additional Bath traffic, for when necessary they could always work their way to Swindon when any heavy repairs were required. The Engine House we are building at Bristol would be ample for any slight repairs that might be required during the time the engine was in working order, and that without any outlay of machinery beyond a few hundred pounds. I am not aware of any difficulties connected with Swindon more than the water.